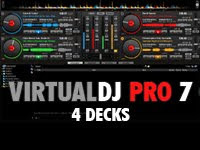 Virtual dj version7 | DJ School Lebanon - Being Pro Is What You Need ! Ibiza 2010 sexiest girls ever ! THE NEW pioneer 350- Winter system !